Valentine’s Day has long inspired handmade expressions of affection. One new, accessibly geeky idea is Plushbots, programmable, interactive stuffed toys that even children can design and make using open-source software and electronics. 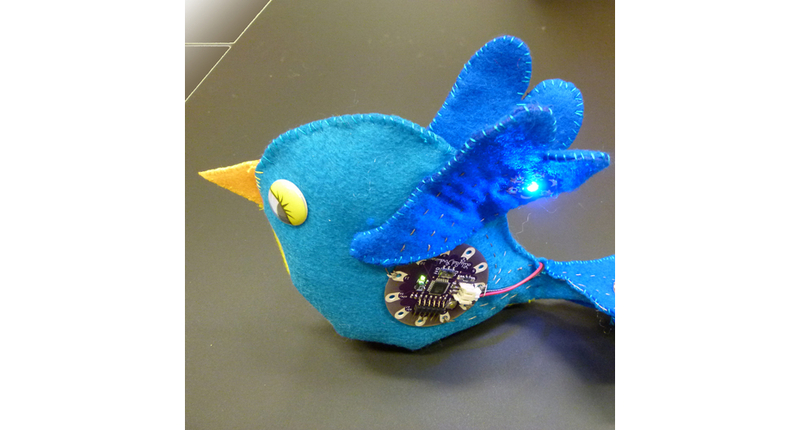 The Plushbot name illustrates the devices’ hybrid nature, which combines robotic parts like Arduino microcontrollers, conductive thread, a battery and various sensors with plush materials like stuffing and felt. 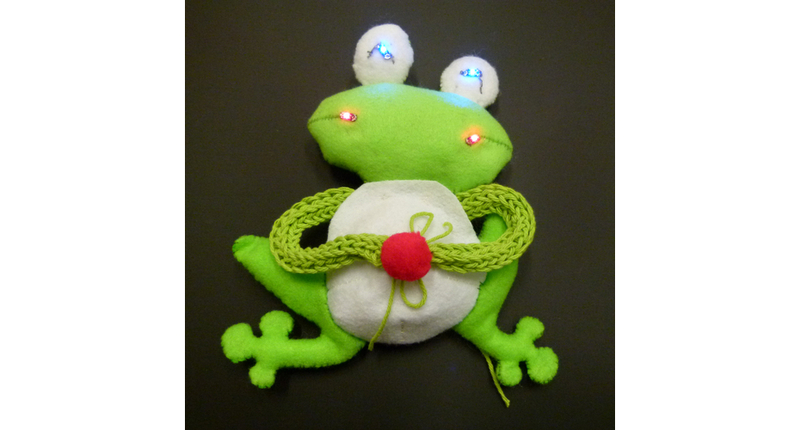 The result: soft Plushbot toys that can be programmed to play music, change color (via LED lights) and move. No engineering or coding expertise is necessary to make a Plushbot; the goal of the Plushbot project is to enable kids as young as pre-teens to create the toys from scratch in a few hours. All that is needed is access to the Internet, a printer and about $40 of materials, including the electronic components. The democratic nature of the project could make Plushbots a popular way to teach children about robotics and computation. That’s the hope of Plushbots creator Yingdan Huang, who is a computer science doctoral student at the University of Colorado at Boulder. The Plushbots idea came out of CU’s Craft Technology Laboratory, which is focused on inventing new technologies for children that will help them learn math and science. Backed by a National Science Foundation grant, Huang and her academic advisor, Michael Eisenberg, decided to launch an e-textiles project that would mix electronics with traditional crafts. By centering the project on stuffed toys, they hoped to interest girls as well as boys. The Plushbot software also encourages users to dream up their own designs. A Plushbot doesn’t need to be a stuffed animal; users have also made iPhone cases and purses. Huang contends there are no “tactile-friendly” robotics toys on the market that are this open-ended. Huang started work on Plushbots in May 2010. Within a year, she had developed the software and the general process, which involves creating a pattern, printing it, sewing the pieces together (with conductive thread in some areas) and programming components. Now Plushbots are going public. Huang recently completed a user study of 70 local middle school students. The trial, which spanned two months, showed that kids aged 11 to 13 could make Plushbots without specialized training. 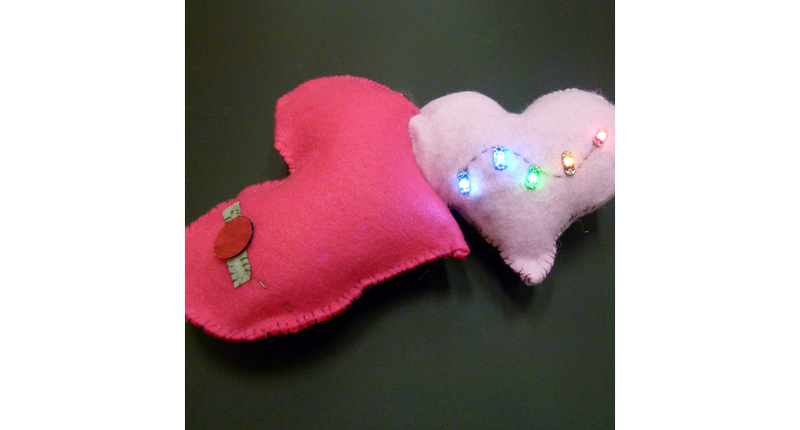 Last weekend, Huang led her first public Plushbots class at Boulder-based SparkFun Electronics. The class, which was pegged to Valentine’s Day, offered participants three designs: a heart, a bird and a frog. All the designs either light up or play music in response to stimuli such as the press of a thumb. Though cloaked in fun, the lessons are useful. Positioning components inside a Plushbot is similar to laying out the parts in a PCB (printed circuit board), a basic engineering skill. Engineers typically use a Cadsoft program called EAGLE for this task. The Plushbot software, which is drag-and-drop and WYSIWYG (What You See Is What You Get) is much easier to grasp but teaches the same concepts, said Craig. Educators from as far away as China and Russia have contacted Huang and Craig about teaching Plushbot construction. SparkFun, which is expanding its education department, plans to post Plushbot tutorials and explanatory materials on its website in coming weeks. Huang intends to refine the Plushbot software once she graduates from CU this summer. (Plushbot is not Huang’s doctoral project; her thesis focuses on a tangible, 3D paper-folding user interface called Easigami.) Huang is considering adding a feature to the system that would alert users whose designs are not technically feasible. She is also debating adding the ability to write code on top of patterns so the toys’ interactive features could be simulated on-screen.